“Food storage cellar, Deshee Unit, Wabash Farms [Cooperative], Indiana,” May 1940, by John Vachon, via Library of Congress Prints and Photographs Division. I found the preserves in the cellar. . . .
burning like years in the brain. I think she must have dressed up for the government photographer. 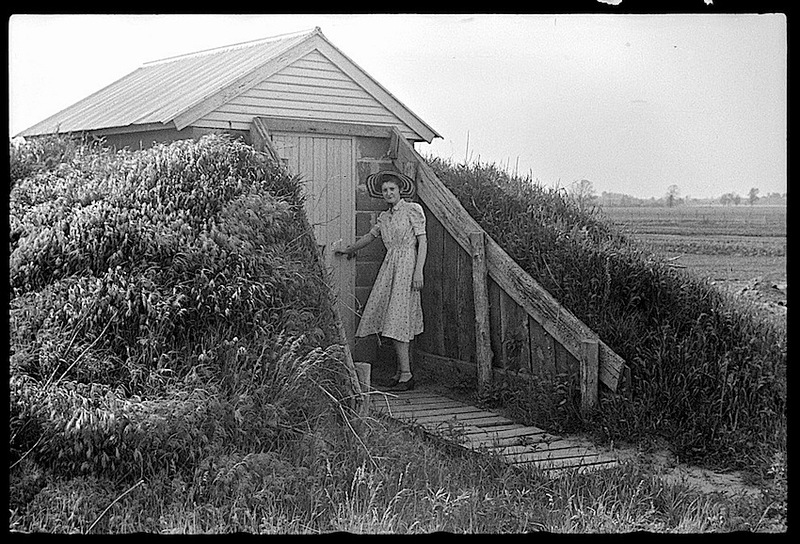 Mark’s dad built a similar root cellar into the hill next to their retirement house, which he also built. This is interesting because they seem to have made the hill just for the shed.